A strikingly handsome plant, forming clumps even larger than the last, with similar flowers, but with quite different foliage. 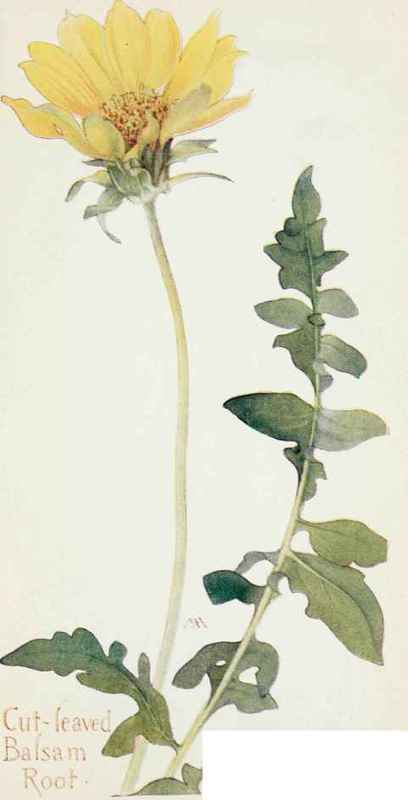 The leaves are rich-green, and decorative in form, more or less slashed into lobes and very sticky, with hairy margins and leaf-stalks, and are nearly as tall as the hairy, sticky flower-stems, from one to two feet high. This grows in rich soil in mountain valleys.